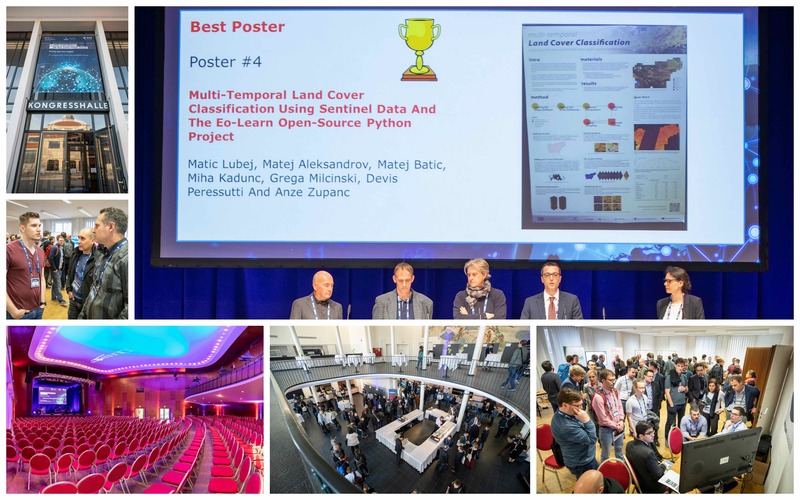 We are honored to receive a well-deserved recognition of our EO research team's efforts at 2019 Conference on Big Data from Space (BiDS'19). The Conference which was jointly organised by European Space Agency, European Union Satellite Centre, Joint Research Centre and hosted by DLR - German Aerospace Center took place on 19-21 February, 2019 in Munich, Germany. eo-learn was introduced to the public last summer and its development continued through the past months. Simply described, eo-learn makes extraction of valuable information from satellite imagery easy. eo-learn library acts as a bridge between Earth observation/Remote sensing field and Python ecosystem for data science and machine learning. For more information about eo-learn we recommend reading the eo-learn documentation and check our GitHub repository. 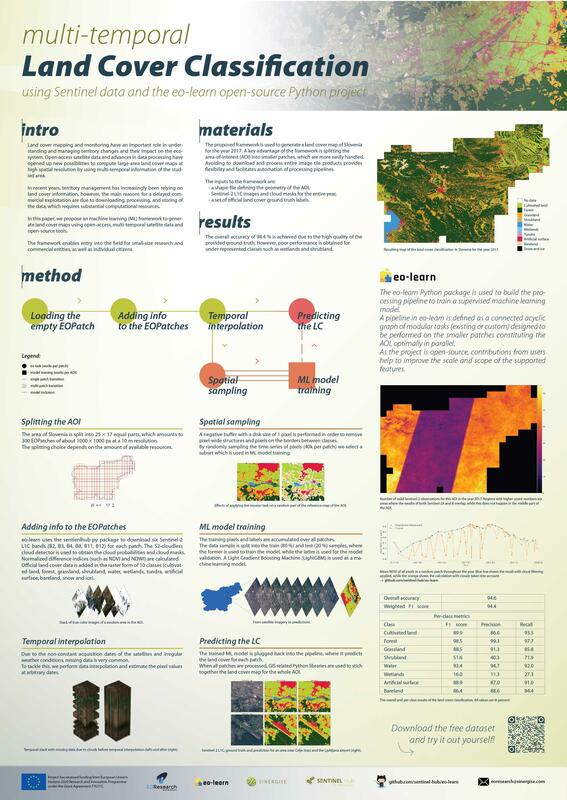 The content of the winning poster was therally presented in our three blog posts, describing the supervised land cover classification from start to end, with Jupyter Notebook example, sample data and more. All posts are available on our Sentinel Hub Medium blog under the common title "Land Cover Classification with eo-learn". A temporal stack of Sentinel-2 images of a small area in Slovenia, followed by a land cover prediction, obtained via methods presented in blog post Land Cover Classification with eo-learn: Part 2. A few glimpses from BiDS'19 conference. More images can be found here.